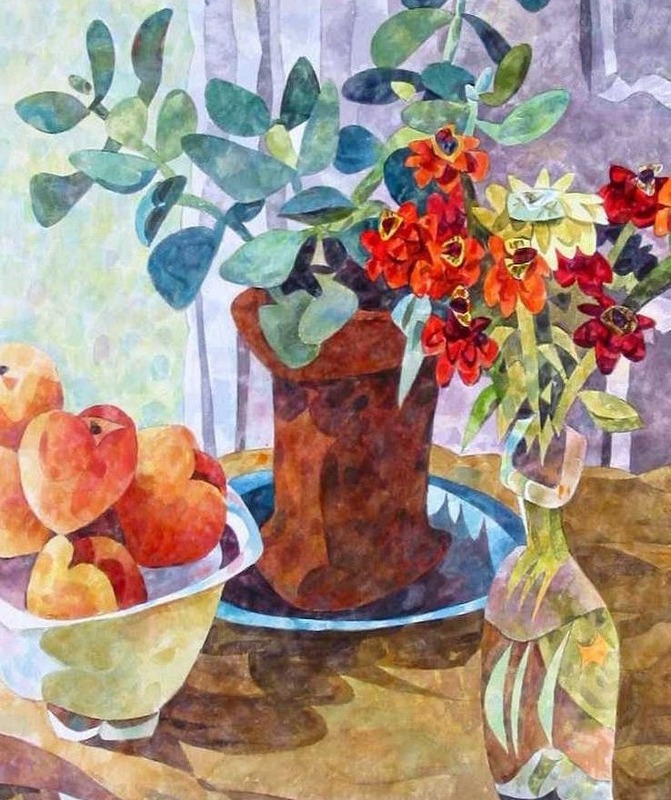 Ive wanted to do a still life with zinnias for some time when I painted this piece. The concept was to include a cubist viewpoint to the composition. 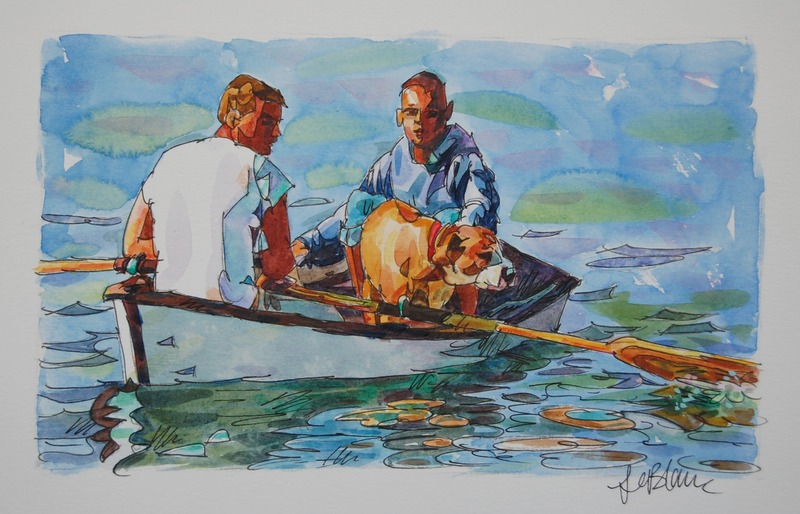 While I was painting on Monhegan Island these two young men and their dog showed up. 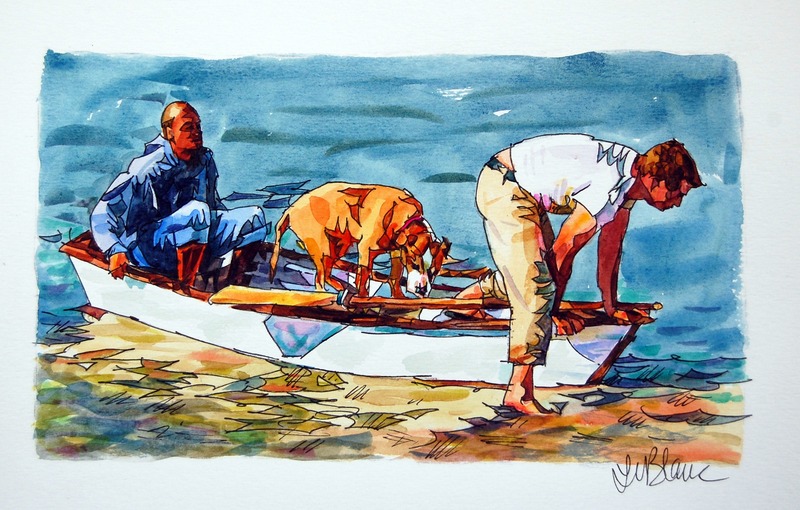 The composition of these three in their boat surrounded by the water was very inspiring. I wanted to capture the action of these young men and their dog as they landed on the beach. 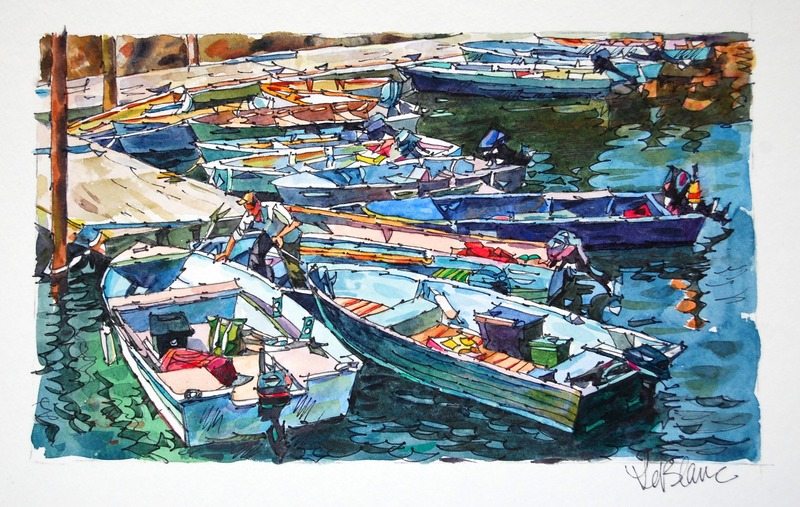 Watercolor is a medium that I do love to work with and it’s a great way to show the spontaneity of a scene. 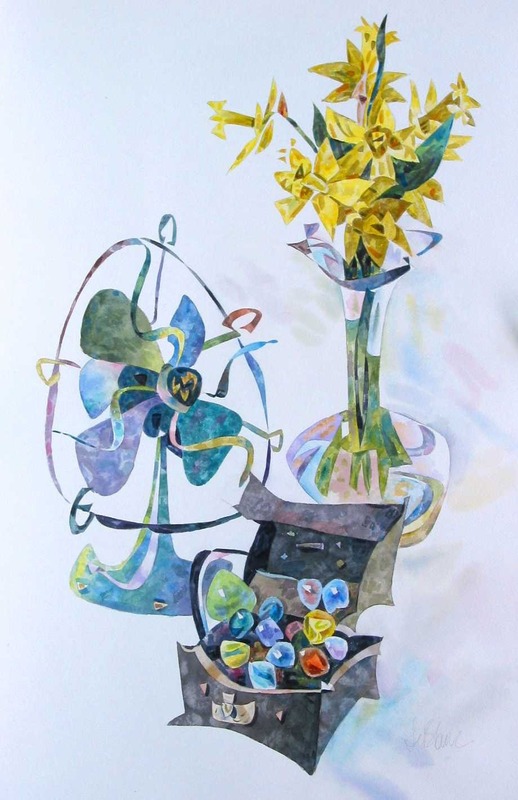 This still life was composed with an electric fan from Ebay, Jonquils from my garden and a selection of marbles from my childhood. What I wanted to achieve here was to convey how common objects can possess fantastical shapes and distinct personalities. 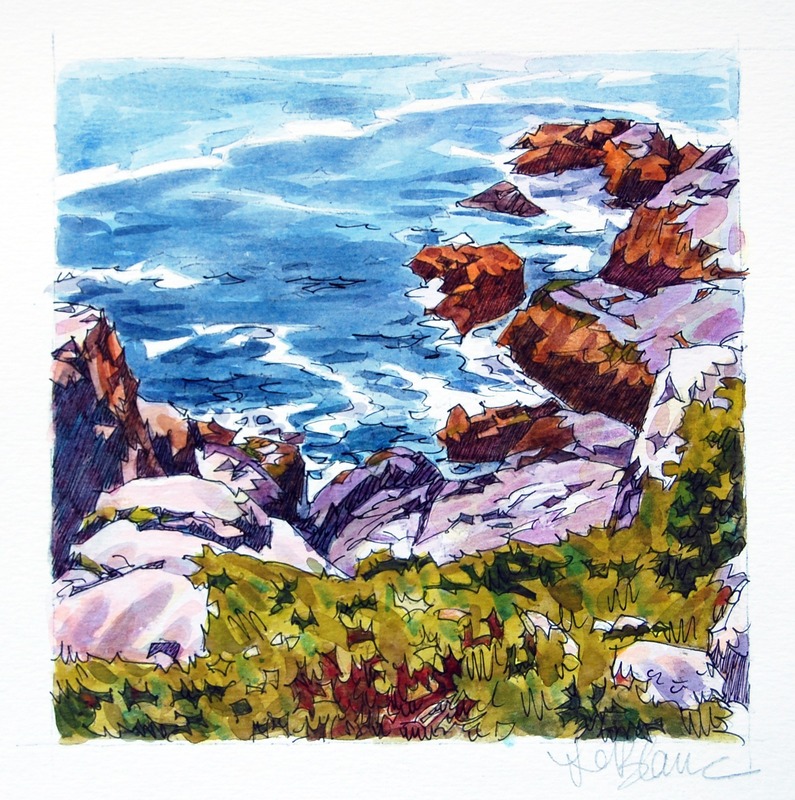 Hiking along the trails on Monhegan Island I came upon this scene. 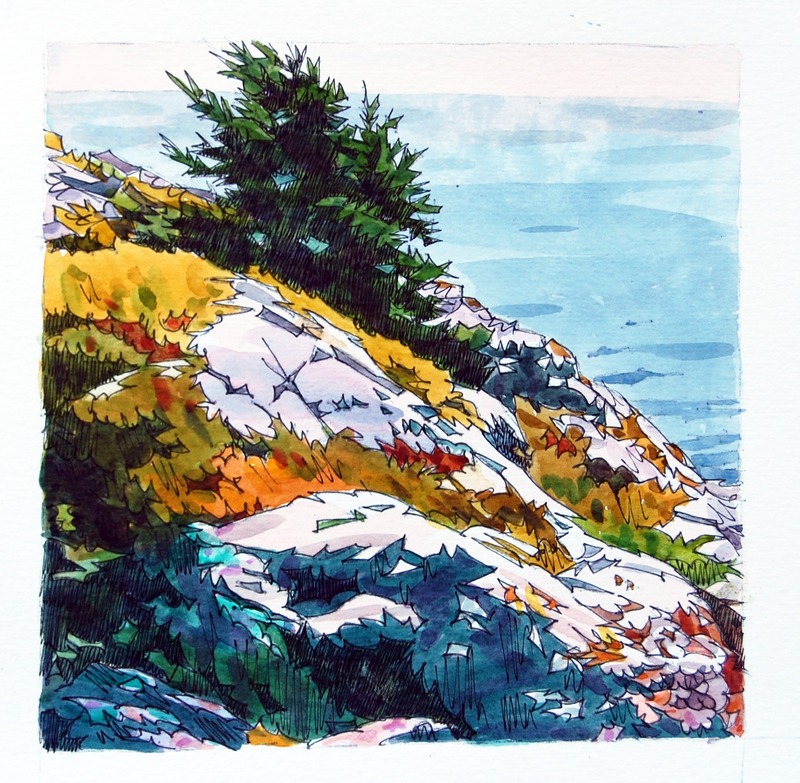 The cliff seemed so invincible and yet here lived this strong scrubby fir tree. 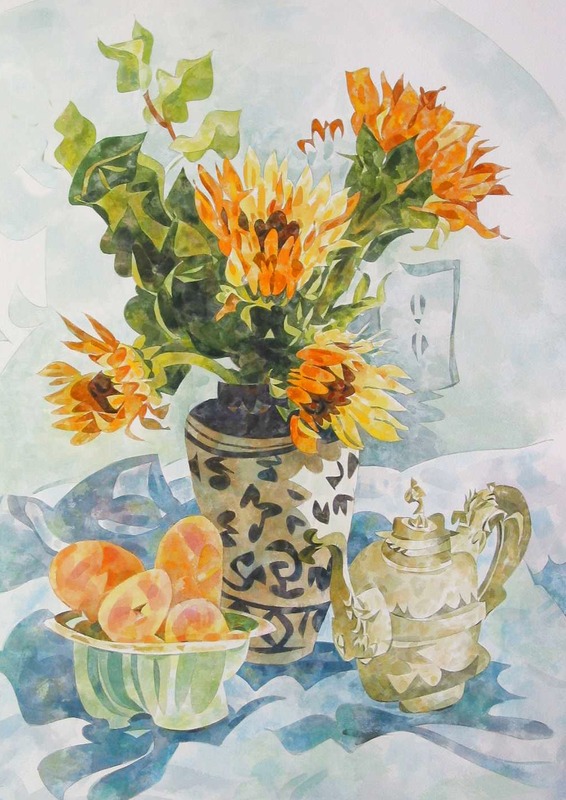 This still life set-up was composed of several elements that I’ve collected over the years. A silver teapot, ceremic rose jar, and fresh cut sunflowers all lovingly arranged to create a satisfiying motif. 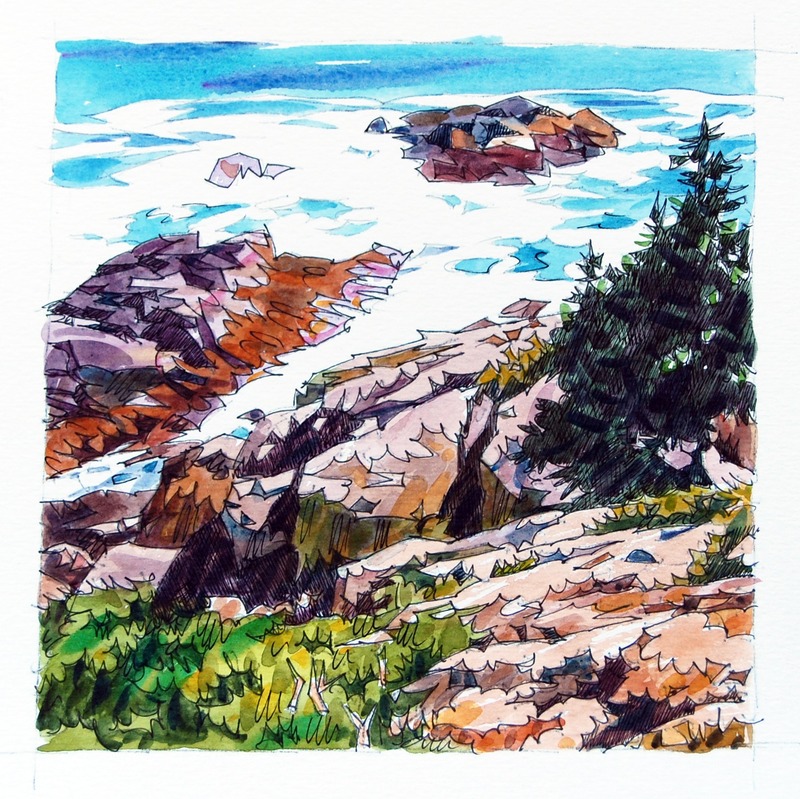 In this painting I wanted to show how fir trees appear to grow right from the rocks along the Maine coast. 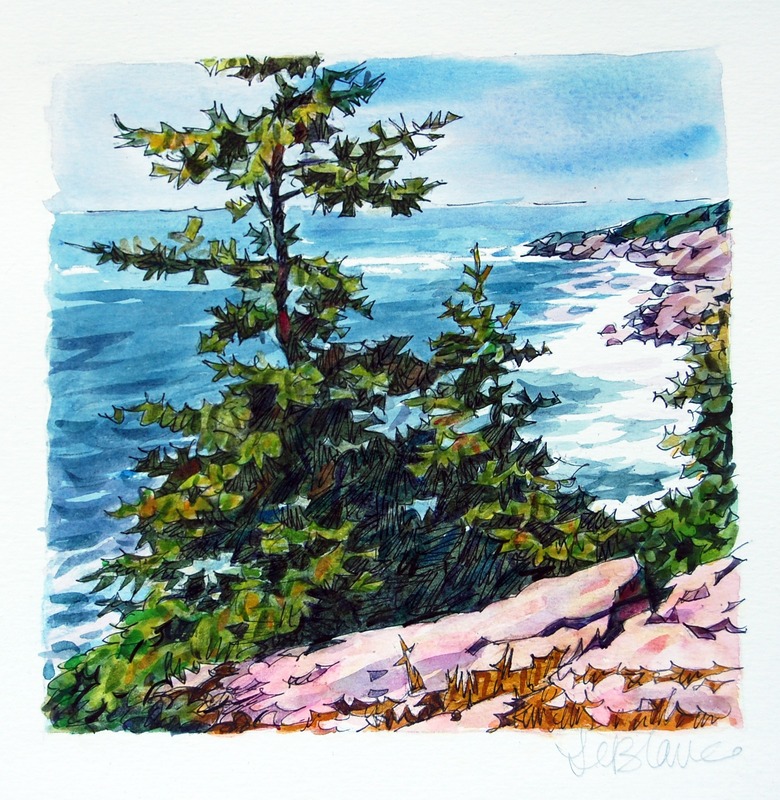 With the trees dominating the foreground the sea seems delicate and remote.